Car accidents are bound to happen to most people. Coming to terms with car accident injuries and all the bills they entail can be quite traumatizing. Dashner Law has years of experience dealing with personal injury claims, including those involving motor vehicles. You must remain aware of other drivers at all times while on the road, and that includes excising bad driving habits from your commute. These can include speeding, tailgating, as well as distracted driving. 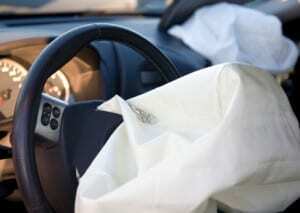 Exhaustive studies show the numerous benefits of always wearing a seat belt when driving. No matter how far you’re traveling, where you are riding in the vehicle or any other factors involved, it is crucial that all passengers wear their seatbelts. Grave car accident injuries can be avoided by doing so. Being alert on the road can make all the difference between avoiding an accident and being involved in one. In the latter event, contact a personal injury attorney to go over the details of your case. In the event of an accident, Dashner Law is here to help. With our staff of dedicated attorneys, you can rest assured that your best interests be at the forefront of all proceedings. Contact us at 972-793-8989 or 817-864-9980 for a free consultation.